The timing was right for me. The moment had come. I had just suffered a huge financial setback that forced me to basically start from scratch. I had nearly no income, and I had just been forced to move myself, my spouse and my daughter into grandma’s house. I literally had to grow up, can any excuses or place blame, take responsibility for my actions, and take back control of my life, and it was fear that made me do it. When you're down at your lowest point... What matters most is how you push yourself up. What matters is WHY! Start with Why. Register for this leadership interview with Ann Sieg & Simon Sinek. I did not want to leave my family absolutely penniless. I did not want to feel ashamed of my personal situation any longer than absolutely necessary. I did not want to tell my spouse or child “We can’t afford it” like my mom and dad said to me throughout my entire childhood. A firm decision needed to be made right then and there. No more “saying” what I want to do, only “doing” what had to be done. So at that moment in time that was my critical reason why. I had already failed, there was no going lower. But to continue failing simply was not an option. There was no excuse big enough to keep me from doing what I needed to do. I had suffered a financial setback. I had made a million intricate bad choices that led to that day. I, my spouse and my daughter were living with grandma. What does it take for there to not be an excuse big enough? … make the phone call when you don’t feel like picking up the phone. … go to the meeting even when you don’t feel like going to that meeting. What does it take to no longer make any more excuses? What does it take for you to do it anyway? When your Why is big enough, that’s the place you’re going to find yourself. Yes it can be challenging. Maybe you’re a little tired, and you’re a little grumpy. But you’re going to do it anyway because you have no choice. The answer is found in your WHY. Why am I writing this to you right now? Because entrepreneurs rarely take the time to really consider what their why is. What got them going in the first place? What really motivates them? If it is only driven by “I got to make a bunch of money” it’s almost guaranteed for failure. Because you’re going to inevitably hit really hard times that will test your resolve to the core and that’s when you really need to know who you are and what you’re about. It’s not important what you know; it’s important what your results are. You may know you need to write down your dreams and goals, but have you done it? You may know you need to develop a unique skill set that gives your prospects a reason to want to do business with you, but have you done it? If you haven’t done it, it doesn’t matter what you know. You may need to write down your 90 day objective. Have you done it? You may need to schedule time in your planner to study that article marketing technique you think makes sense. You may need to schedule time to prospect and pick up the phone. If you haven’t done it, can you answer Why? If you hear yourself giving excuses you must not want whatever the reward is for doing it badly enough, or are you simply not properly aligned with your why? Are you hanging too much on What you don’t want to do, or How you’re supposed to do it instead of being focused on Why you do it? Simon Sinek, author of Start With Why – How Great Leaders Inspire Everyone to Take Action. 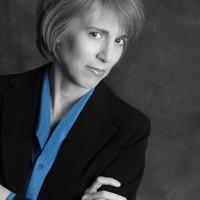 Join Ann Sieg on Tuesday, June 21 at 9 PM EST as she interviews the foremost business and marketing leader about how to Start with Why (and how to get crystal clear with your why and use that as a catalyst for explosive YOU INC. growth. Why some people, teams, organizations are more influential, and more profitable than others. It’s not because they’re bigger, better or smarter. Why some leaders command greater loyalty and success from their customers and down line reps, and how they can effortlessly do it again and again and again no matter which company they join. The one obvious thing you’re not looking at close enough that will enable you to inspire those around you to take action and achieve remarkable things. How to think, act and communicate in the exact same way as the greatest leaders of our time using a powerful framework Simon calls the Golden Circle. You can immediately use this to build and lead your way to your goals. Why people buy from one person or leader and not the other. Once you know this you’ll never have to stoop to pitching or using outdated manipulative fear tactics to sell your stuff. Join Ann Sieg and Simon Sinek Tuesday, June 21 at 9 PM EST as Simon draws on a wide range of real-life stories that are applicable to your network marketing business as it relates to weaving together a clear vision of what it truly takes to lead and inspire people to take the action to join you. Be there or miss out entirely. This webinar will NOT be available for replay. This article will help you get started with your Facebook marketing.